Got something to send? Here at ParcelDirect.ie we make is really easy for you to send a parcel or pallet to anywhere in the world. If this is your first time using ParcelDirect.ie, then simply follow the four easy steps below. 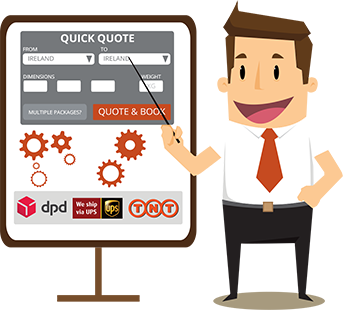 Simply enter your parcel destination, size and weight into our quick quote form. Hit the get quote button and we'll show you a whole range of couriers to choose from. We'll supply you with a list of courier services available for your delivery; all you need to do is choose the one that's right for you. We'll have the right service at the right price for you. After selecting a courier, you simply choose your collection date, pay for the service and print off your labels, and customs documentation if you are sending outside the EU. 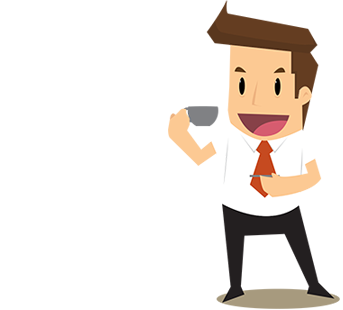 If you don't have a printer you can simply choose one of our 'No Printer Required' services. Once you've booked your chosen courier, all you need to do is sit back and relax! The courier will call to your home or office to collect your parcel. You can also track your parcel every step of the way, by using our handy online tracking tool. That's it, job done! Within no time at all, your parcel will be safely delivered.